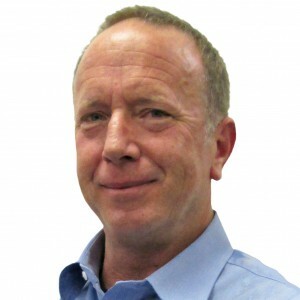 John Casey, PE, manages DBS&A’s Durango, Colorado office. He was the originator of Basin Engineering, Inc. (Basin) in 1992, which offered geotechnical, environmental, and material testing services in the Four Corners area. Basin was acquired by DBS&A in June 2014. He has more than 30 years of experience in the environmental industry and has managed hundreds of hydrogeologic investigations, pilot tests, and remedial action plans at leaking underground storage tank (LUST) facilities. Mr. Casey has applied a wide variety of remedial technologies at contaminated sites, including groundwater pump-and-treat, air sparging, multiphase extraction, soil vapor extraction, in situ bioremediation, monitored natural attenuation, and land farming. Mr. Casey has managed more than 200 gasoline-contaminated sites that were regulated by New Mexico Environment Department (NMED) Petroleum Storage Tank Bureau (PSTB). He is Project Director for assessments and remediation at multiple sites for Western Refining Retail, LLC, throughout New Mexico, Colorado, and Arizona. Mr. Casey is also Project Director for more than 300 Phase I and Phase II environmental site assessments (ESAs) for gasoline service stations, including Giant Industries, Inc., Amigo Petroleum, Sandia Oil, and others. Mr. Casey has performed numerous geotechnical subsurface soil investigations for single-family homes, earth dams, and 20-story structures in Las Vegas, Nevada, Colorado Springs, and the Four Corners area.